Recognizing and rewarding employees for their achievements and dedication is an effective way to increase employee engagement and accelerate performance. In these case studies, read how organizations have achieved measurable success with strategic and creative corporate recognition ideas and unique employee awards. 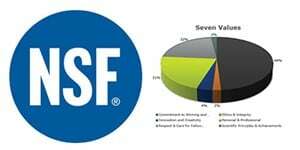 Overview: NSF International, a public health and safety organization headquartered in Ann Arbor, Michigan, has tripled in size over the last 10 years, including opening new offices in Europe, Asia, and Latin America. As NSF grew and spanned across more time zones, real time employee recognition and engagement had become a challenge. NSF implemented a social-media style employee recognition program that successfully connected employees across global locations and tied rewards to NSF’s Seven Core Values. Overview: Retention and engagement are top priorities for banks and credit unions. Financial organizations that implement the 360 Recognition platform for employee recognition experience an average engagement of 77%. 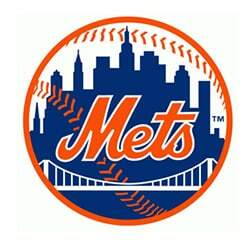 Overview: The New York Mets look at their employees as part of their winning team. When their current employee recognition partner was not meeting expectations, the Mets looked to Terryberry for a solution. Terryberry helped increase the perceived value of the awards, making them earned and exclusive by capitalizing on the renowned Mets organization company symbol. Terryberry also leveraged technology tools and Mets’ branding to improve communciation of the program. The Results: Reduced Administrative burden, increased employee participation, increased perceived award value, and streamlined communication tools…all within the Mets’ timeline and budget. Overview: Northwest Texas Healthcare System is comprised of five facilities and 1900 employees serving patients in and around Amarillo, Texas. NWTHS believes in instant, daily, monthly and annual recognition for contributions that reflect their core value of Service Excellence. To facilitate and encourage staff recognition, NWTHS implemented a Give a WOW program for peer-to-peer recognition. The Results: The program has exceeded expectations for participation and engagement. In the month of December NWTHS had over 1900 nominations. 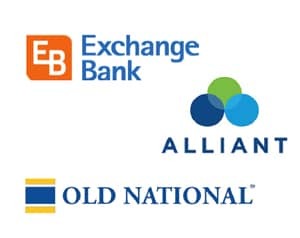 Overview: United Bank & Trust is a community-based financial services company located in Washtenaw, Lenawee, Livingston and Monroe Counties in Michigan. 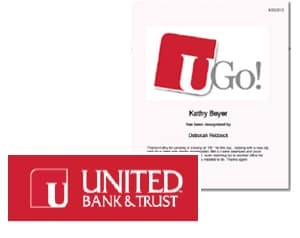 United Bank and Trust was in a phase of rebranding their corporate image. They also wanted to launch a revitalized recognition program. They decided to combine the two initiatives through the Terryberry Give a WOW program. Overview: North Star Memorial Group is a privately held funeral, cremation and memorialization company. In order to reward sales professionals who are successfully able to navigate the constantly changing waters of their industry, NorthStar implemented a Mariners Club for top performers. Inductees are rewarded with an exclusive, and unique award that has helped to drive sales success in this organization for 10 years. 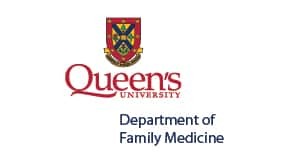 Overview: Based in Ontario, Queen’s University Department of Family Medicine is a healthcare and research group comprised of 100 employees operating in four locations. By recognizing the efforts of staff in a social media format leadership and employees learn about the achievements and great work happening on a daily basis and the feedback provides motivation and incentive to excel. Overview: Hunter Engineering Company designs, manufactures and sells a wide range of passenger car and truck service equipment worldwide. They are headquartered in Bridgeton, Missouri. As Hunter Engineering’s workforce continued to evolve, they realized the same old Employee Recognition Strategy needed to evolve in order to reflect this transformation. After implementing a new award selection and online reminder tools and award redemption options, Hunter Engineering saw increased employee participation and dramatically reduced HR administration time.